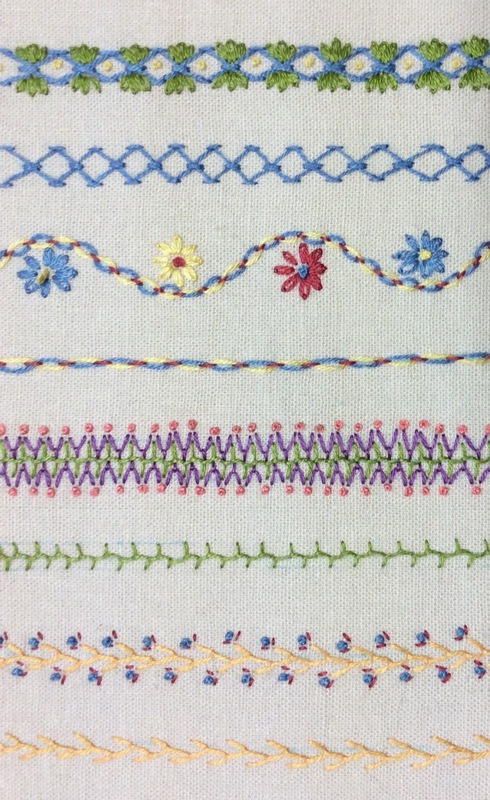 It's always fun to come up with an idea for a new class and my newest brain wave is a class on embroidery for crazy quilting. I'm not really a quilter, although I have made a few but I love to embroider and teaching a class that focuses on the embelishments for these beauties seemed like a lot of fun. 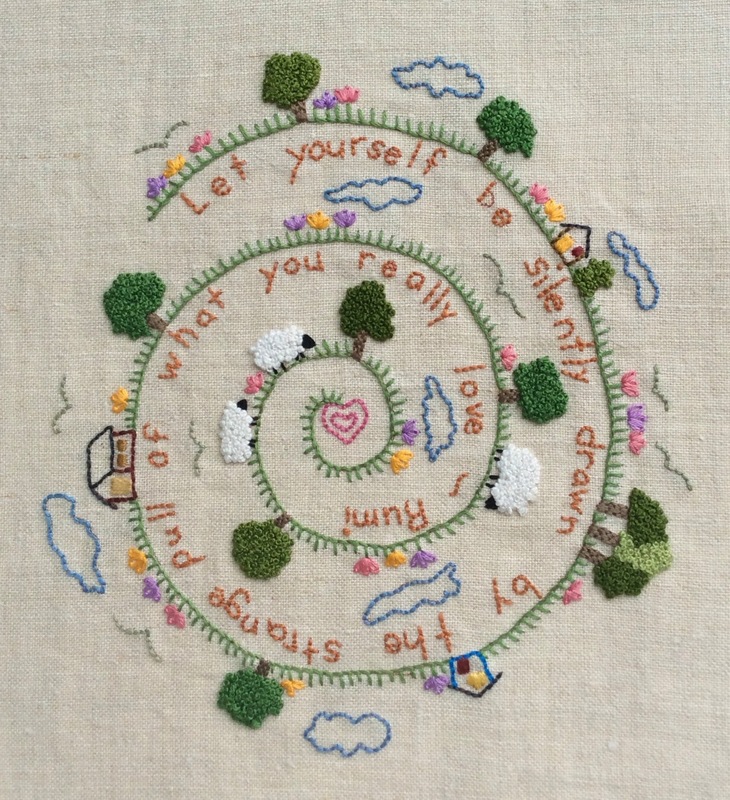 Thanks to suggestions from my friend MA at Magpie's Mumblings it turned out to be a blast putting this sampler. 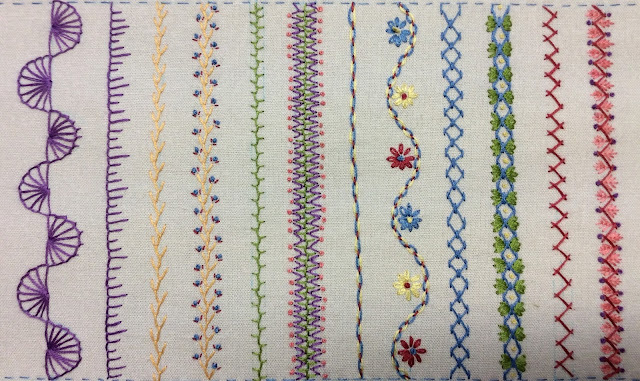 I made rows of a basic stitches and then an additional row of the same stitch but embellished with other stitches and colors. I thought you might like a peek and if you're in the Minneapolis area look for the class coming up in a few months. One of my favorite things about teaching is the interesting students that are in my classes. 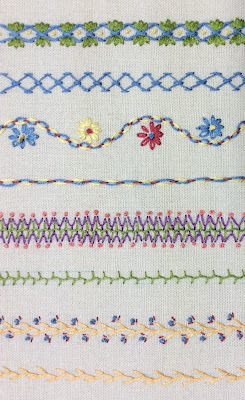 Jenny took an embroidery class from me awhile ago and I discovered she has an amazing website and blog called Midwest Fiber Arts Trails. The site focuses on textile related events that are going on all over the midwest. Included on the site are current exhibits and events including fairs and festivals, shows and sales, classes and calls for entry. And then there are the trails! 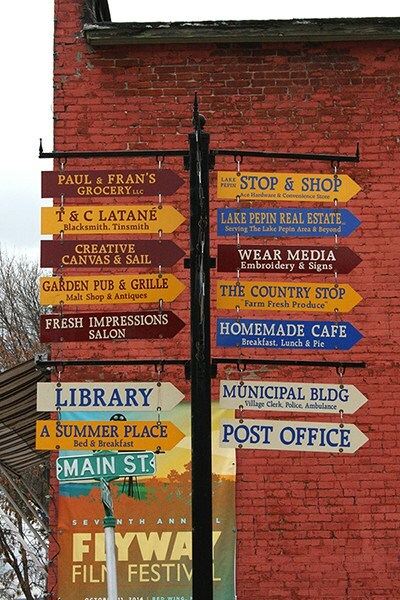 Trails are designated areas that have a good number of shops, artist studios and events all related to fiber arts. In addition there are also road trip suggestions. 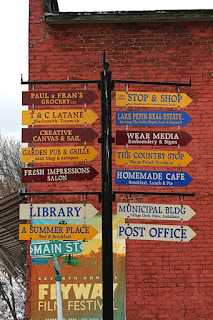 If you are planning a trip through the midwest you really need to check out all that is going on. Perhaps you'd like to know where to see some barn quilts. Go here and hover over the quilt emblems (there are a lot of them). Perhaps you'd like to hear Karen Ann Hoffman speak about her amazing Iroquois Beadwork. Go here! If there is an event in your area you'd like to include you can find Jenny's contact information on the website. Midwest Fiber Arts Traills website is so rich with information that I know I can't cover it in one blog post. Please go and see for yourself all of the amazing things that are happening in this part of the country. Kudos to Jenny for putting together such a spectacular resource. If you don't live in the Midwest is there anything similar in your location?